Editor's note: Lisa Soble Siegmann is a Jewish mother of three children -- brilliant children who get along with one another, finish their homework every night, claim they like brussell sprouts and have promised to take care of her in her old age. 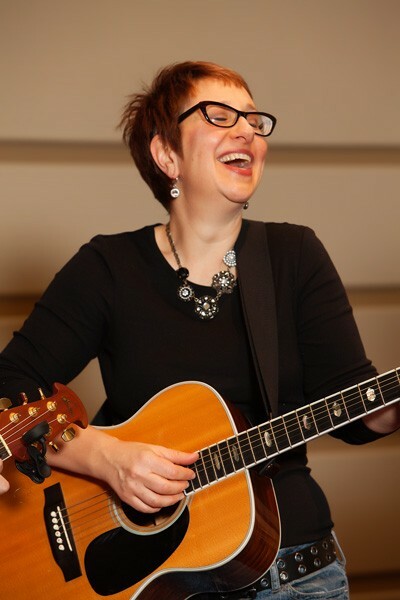 A natural song leader, known for her humor, energy and passion for Jewish education, Lisa is Director of JFamily - a resource of the Jewish Federation of Metropolitan Detroit to create engaging and inspirational connections to the Jewish community. Growing up, the only “real” camping I experienced was at Camp Wise in Chardon, Ohio. Every summer, our entire village would pack up our stuff (clothing, bug spray, food, etc.) to spend one night in the woods. We’d search the woods for kindling, tinder and fuel needed to not only make dinner, but to keep us warm throughout the night. We’d stack them in neat piles, waist high was the goal. To be part of the very elite “One Match Club” society, you could try to start the fire with, well – one match. For the record – I am a proud member. The night was dark – really dark, but when you looked up at the sky, it looked like it was 3D. A zillion stars. Magnificent. Layered. Bright. When you looked at the coals in the fire, they danced right before your eyes. A life of their own. Mesmerizing. I could stare at them forever. Time kind of just stopped there in the woods. The night was long. Songs were sweeter, and every voice could be heard. 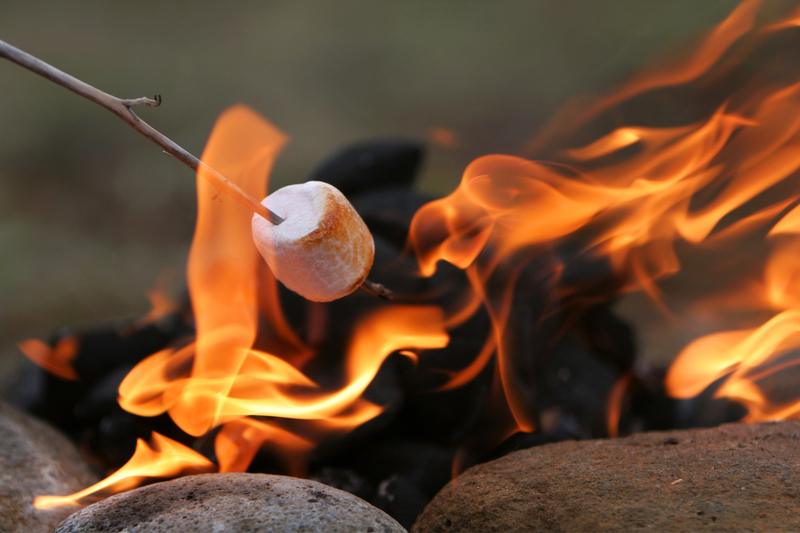 When we finally went to sleep – fed, warm and still humming, we dreamed of s’mores and friendship. Of music and of stories told. We cooked our food, sang mellow camp songs, told stories, peed in the woods, laughed till we snorted, and fell asleep looking at the twinkling stars in the camp sky. My focus was just being at camp. My second home. Sometimes it felt as though time stopped and the bliss would last forever. But then, in what felt like a second, my three weeks of camp ended and I began counting down the days till I could return. Camp was the place I couldn’t wait to get back to. before iphones and cable, live streaming and everything being available to you 24/7. Before we could “turn off” and “unplug” – not even knowing we were doing that. Everything closed down for the night, or on Sundays. And God forbid anyone called our home (on the “land line”) after 9 pm, or before 8 am. Now our children spend their summers at Tamarack Camps. At home they are on their phones and their ipads. The TV may be on as dinner is being made. Email comes in 24/7 as does Snapchat and texts. My children are horribly “bored” and “don’t know what to do,” without technology. But at camp, none of that exists. At camp the outdoors is suddenly more vibrant. Grass is greener. The bugs that may have repelled them at home suddenly are of interest. My children have the opportunity – in this crazy world, to unplug. To unwind. To just be kids. To take time to find the kindling, the tinder, the fuel. To see the same zillions of stars that I saw. To sing. To be mesmerized. To experience. To feel. To grow. But mostly, to just be.